There are a few places on earth that offer human eyes such extraordinary┬ábeauty┬áas that of Archipelago Los Roques National Park. Los Roques Island is the biggest marine reserve archipelago in the world. A panoramic view of this place offers the most beautiful natural sights in Venezuela. Los Roques Island attracts many visitors with its natural beauty.┬áIf you want to discover a magnificent tropical marine area and tremendous variety of birth life, then you must consider the Archipelago of Los Roques aboard. Sailing to Los Roques from the central coast of Venezuela will be the most┬ápleasant┬ávoyage┬áof your life. A trip to Los Roques is┬áperfect┬áfor┬áyou┬áif you┬áwant┬áa week-long escape from your┬áturbulent┬álife. To┬ásail┬áexclusively to the beautiful archipelago of Los Roques onboard of an┬áopulent┬áboat is an┬áabsolute┬ápleasure. 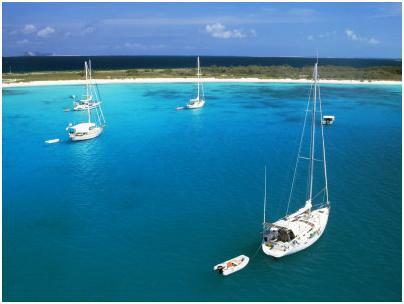 You may rent or┬álease┬áa yacht in Los Roques to enjoy an exciting boating experience. When renting or chartering a boat, you must ensure that the boat is licensed by the Venezuelan authorities. The┬áopulent┬áboats or yachts at Los Roques are equipped with air conditioners, showers of hot and cold water, a generator, TV, DVD, refrigerator, and other amenities. You┬ámay also experience┬áthe freedom of bare-boat charters. It will add fun┬áto your boating experience. Once┬áyou┬áhave reserved a bare-boat charter, a team of experts┬áwill welcome you in the base and handover the boat to you. With bare-boat charters,┬áyou┬ácan sail┬áout to sea, enjoy the breeze and┬ásoak in the warmth of the sun. Boat rentals at Los Roques will give┬áyou┬áthe opportunity to discover┬áthe coastal seaside,┬áand enjoy the quietness of a bay at night. With boat rentals, you can also enjoy several other experiences such as diving, fishing, wind surfing, and kite boarding. You may rent boats or yachts of various sizes according to your crew. If you have planned to enjoy your holidays with your friends or family, then you may choose to embark up to 10 to 12 persons on large catamarans. You will find a gamut of chartered and rented boats to suite your budget. The chartered boats at Los Roques Island are also available on the basis of sailing levels. You may opt for a short and easy sail for your first day to give you and your crew some time to unwind. You may also choose mono hull sailing yachts, catamarans, motor yachts, and trawlers.